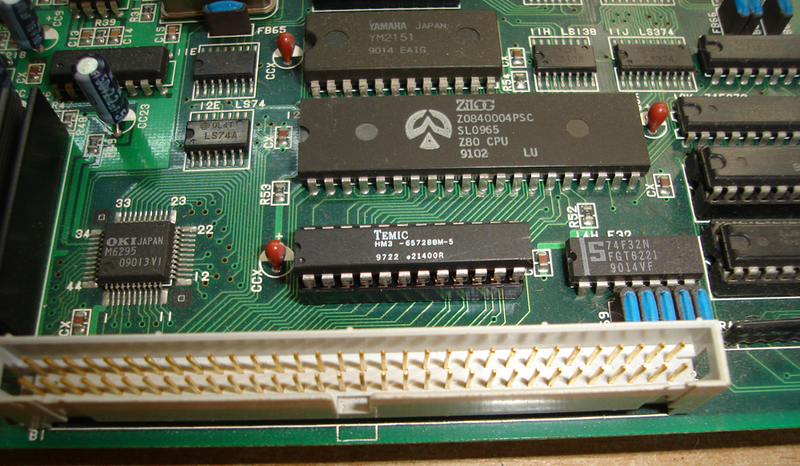 This original CPS1 Final Fight pcb was working fine apart from no sound. 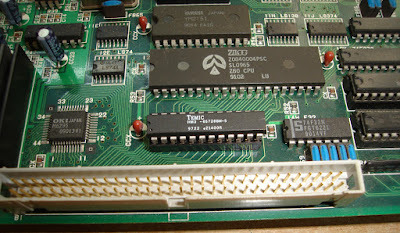 The most likely causes were the Z80 cpu (capcom fitted Z80 instead of Z80A), 6116 work ram for the Z80, sound eprom on the B board and less likely but also possible the amplifier or oscillator. I started with the sound eprom for some reason this one always seems to be missing a label on many CPS1 games which lets the bad UV light in. This was fine though, next I had a close look at the board it was very clean and looked like it had been well looked after. The 6116 ram on the other hand had corrosion on several of legs, I have read that some early 2K X 8 rams contain electrolyte which eventually leaks. I am not sure if this is true but it would explain why these Sony rams often fail and the corrosion on the legs which was no where else on the board. With a socket and new old stock compatible ram fitted the sound was fully restored.